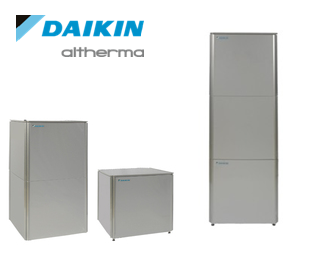 The Daikin Altherma High Temperature (HT) Heat Pump is an industry first, capable of achieving output water temperatures of up to 80°c. It operates on the basis of a cascade refrigerant system where the low temperature refrigerant circuit in the outdoor unit transfers its absorbed heat energy to a second refrigerant circuit in the indoor unit. 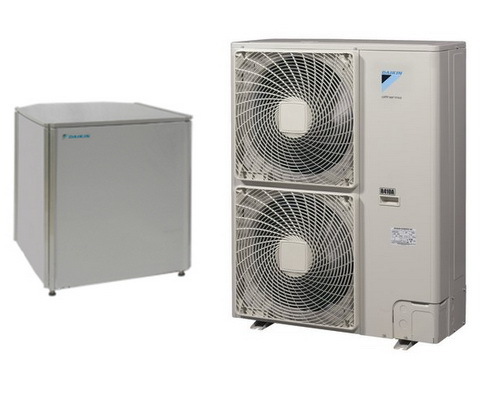 The second high temperature refrigerant circuit then boosts this heat energy further and transfers the increased temperature to the heating system water circuit. An excellent product for any retrofit project as a replacement for a traditional boiler system. No need to replace existing radiators. This system delivers water flows of up to 80ºC. There is a connection for a solar system for even greater savings. The modular design makes it easy to install in any space. All components are pre-assembled for easy installation. Can be used as a direct replacement to oil or gas boilers. No need to change radiators. Flexibility in positioning of unit as no flue is required. 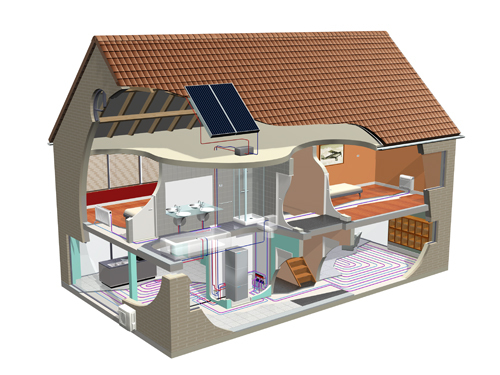 No electric back up required for domestic hot water heating. Option to use the integrated cylinder thus reducing footprint. No chimneys, flues or oil storage not required. Up to 60% reduction in running costs. Up to 25% reduction in carbon emissions. Please do not hesitate to contact Airflow if you are not totally sure what configuration would suit your project best. We gladly advice you!